Our prices are so low, we aren't able to publish them. Call for quote. 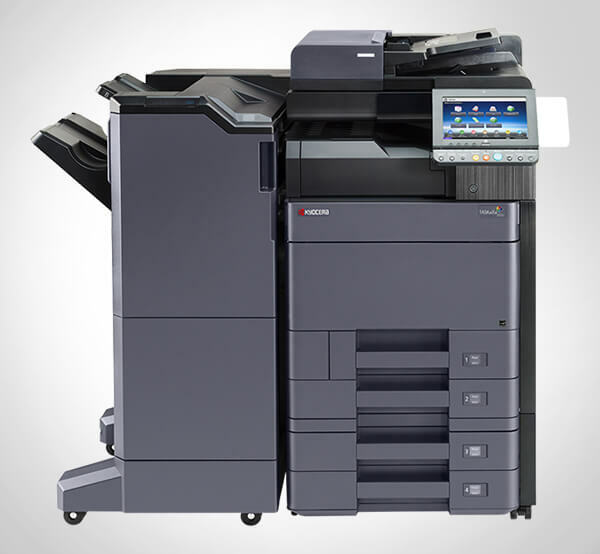 What is a digital duplicator? 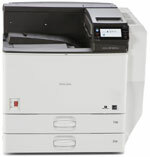 It’s a distant cousin of the copy machine that excels at reproducing one document many times at high speeds and low costs. 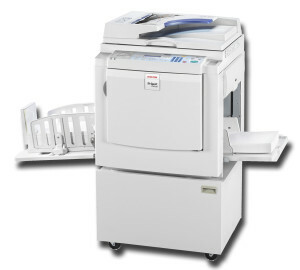 This system uses the latest ink and master technology to quickly duplicate documents up to legal size at up to 130 pages per minute and a fraction of the price per page of a copy machine or printer. Who could use a duplicator? Perfect for churches, schools, reprographics departments, campaign offices, event producers, and more. 4.3" customizable touch screen LCD control panel. Eco Night Sensor control panel to save energy by automatically turning the printer off or placing it into Sleep mode after the room goes dark. Customize the home screen with shortcut icons to view saved job lists for optimum productivity. 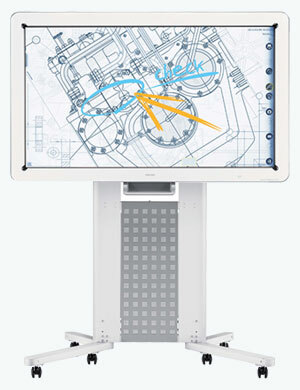 View system status, current job status and job history with one touch using the animated guidance screens. Use the Print Preview function to view a thumbnail image to visually verify the selected file before printing. All prices are "plus tax". Shipping/Delivery, Network Connection, and Training offered at additional charge if desired.